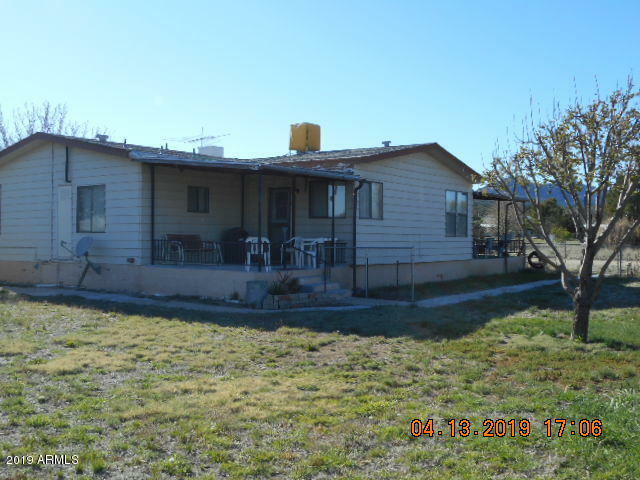 All Peeples Valley homes currently listed for sale in Peeples Valley as of 04/25/2019 are shown below. You can change the search criteria at any time by pressing the 'Change Search' button below. "Your retreat from the hustle and bustle of the city awaits! Stand on the decks of this 3 bedroom, 2 bath Contemporary and admire gorgeous sunsets and starry skies. Master bedroom occupies second level with full bath and large loft area. Spacious fireplaced living room with vaulted ceiling and massive glass overlooks the seasonal pond which reflects Rocky Boy mountain. Applianced kitchen boasts island breakfast bar and walk-in pantry. Trees, boulders, and privacy plus your own tree house. 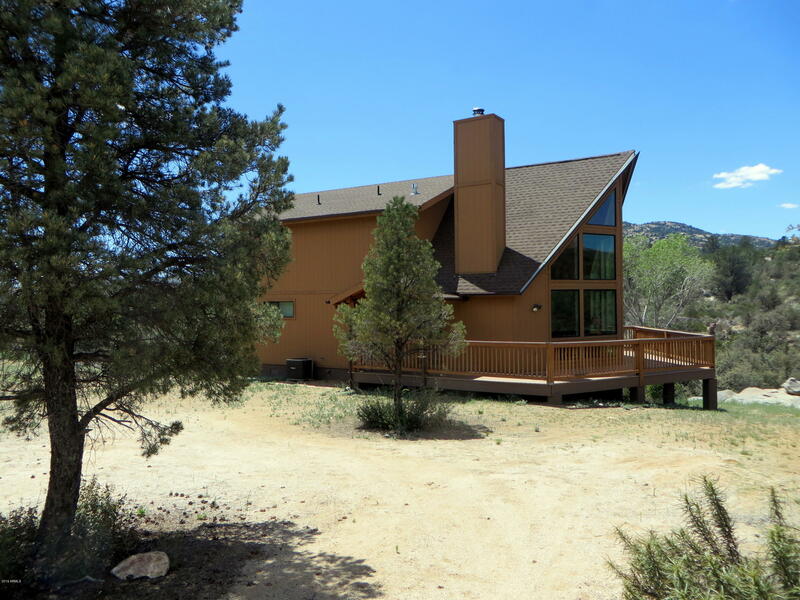 Hi"
"Wonderful 2 Bedroom 2 Bath home w/updated kitchen, fully fenced and amazing views! Come and enjoy the cooler weather just a short drive north of Wickenburg into the beautiful mountains. Lot next to home is included in sale. A little shop or storage shed in back and mature trees. A great opportunity to be a part of this quaint town! Call today!" "This home and property has it all! 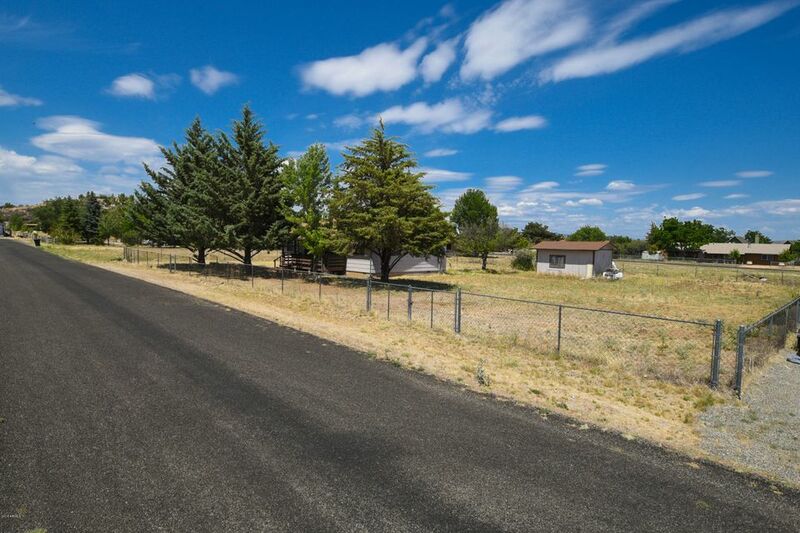 Triple wide manufactured home - 6'' studs, all electric, block construction 2 car garage, double lot, RV parking and gate, very nice landscaping and fruit trees and a well of it's own. So much to to see - large Master Bedroom with en-suite and garden tub - split bedrooms - great room - updates: 30 yr shingle - some furnishings may convey - lots of space for great living in very desirable rural Peeples Valley."